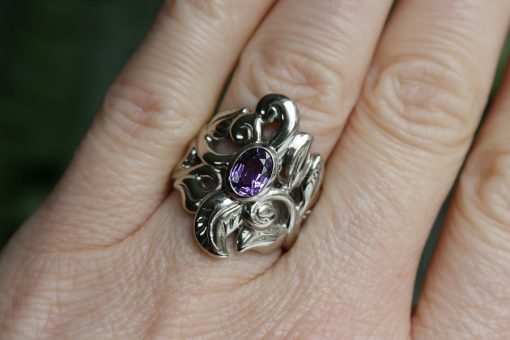 A gorgeous 1 carat violet sapphire is set in this 14kt white gold wedding ring, in an art nouveau style. 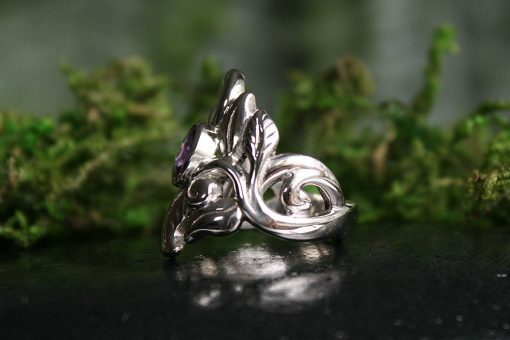 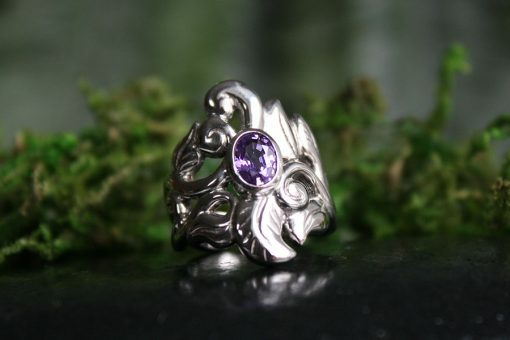 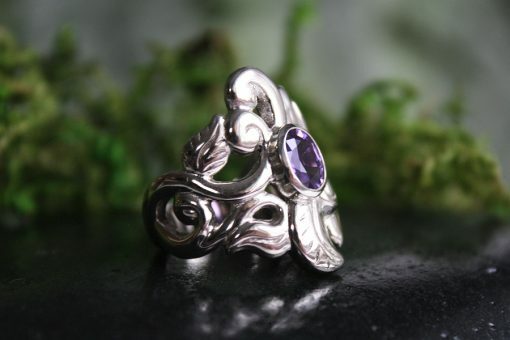 The Harmony Ring was carved with wild abandon within a specific shape. 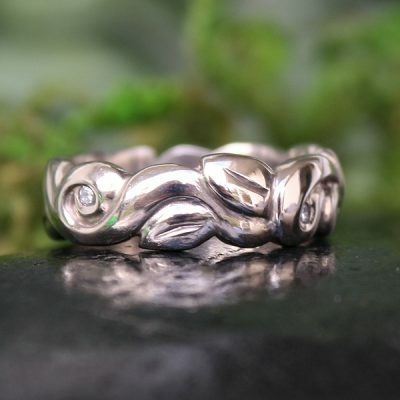 I wanted to have the wildness of a garden growing inside the boundaries of the shape, representing the balance we need to have in life, and the freedom to laugh and play within it. 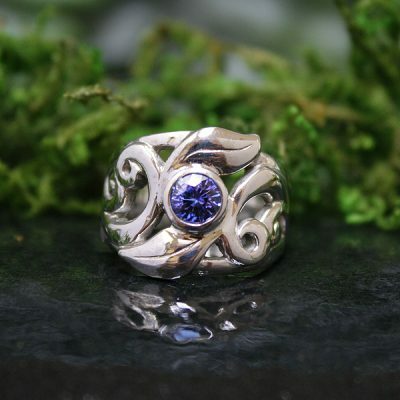 Also available in yellow or rose gold with a diamond. 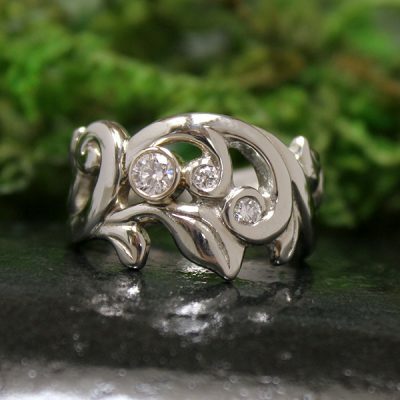 The Harvest Earrings make a beautiful bridal set!